There is power in motion – not just when it comes to ocean waves, race horses or monster trucks, but regarding the human body, as well. Just watch a baby; the squirming, the kicking and the waving of the arms. They can’t wait to get moving and once they start, they’re hard to stop! Your body was meant to move. So why are we a bunch of couch potatoes? Because with every advancement and innovation designed to make life easier, we become more and more a nation of sitters. Driving is convenient. Sitting is comfortable. Eating is fun. Physical labor is hard and in today’s world, we don’t like things to be hard. The typical adult sits in a desk chair for eight hours, sits down commuting to and from work, and then spends the evening sitting in front of the TV. Are you one of them? Let’s change that. Fortunately, there’s something you can do about it, and you don’t have to be an athlete to reap the benefits. Just a few minutes of physical activity can boost your metabolism. And if your schedule doesn’t allow for a stop at the gym on your way home, try making exercise part of your everyday work routine. It will keep you happier, healthier and more productive. 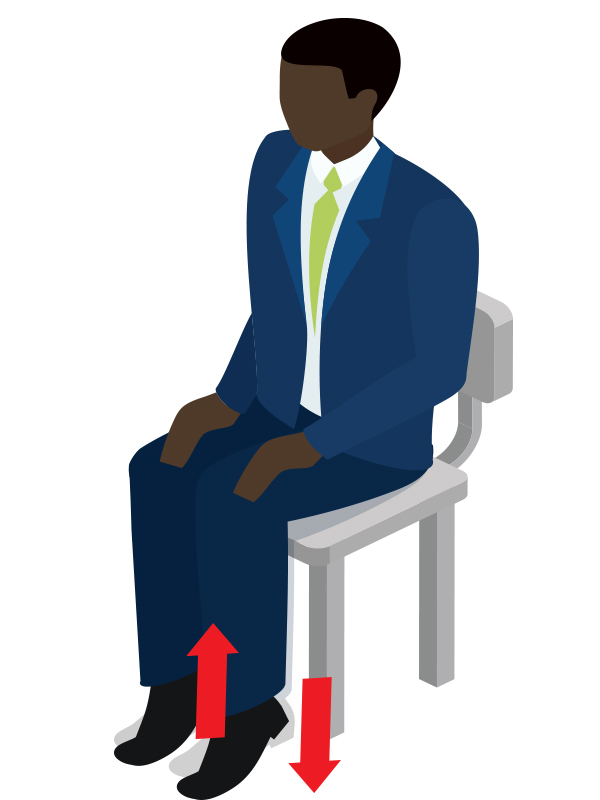 In a seated position, extend one leg in front of you and keep it elevated and extended. Lift and hold the extended leg for a set of 20 then do the other side. Next, with one leg extended in front with your toes pointed, make small circles with your extended leg in one direction then reverse the direction for sets of 5 to 10. Seated calf raises can be done with the toes pointing forward, outward or inward. While seated with the back straight and shoulders squared, lift your heels and contract your calves. Consider two sets of 10 each. These exercises will really help with lower extremity circulation. 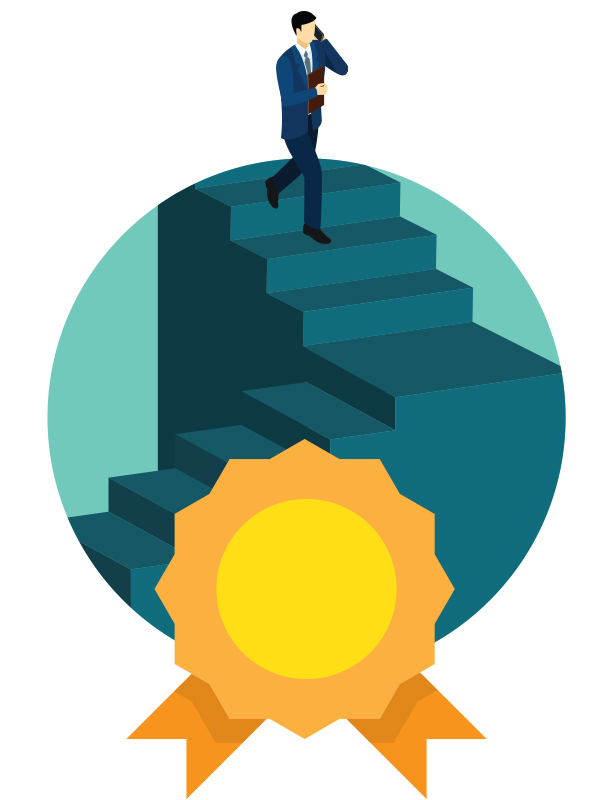 Instead of awkward elevator small talk, you can elevate the heart rate. Just take the stairs. Accelerate on the straightaways and take two at a time every other flight for a real leg burn. 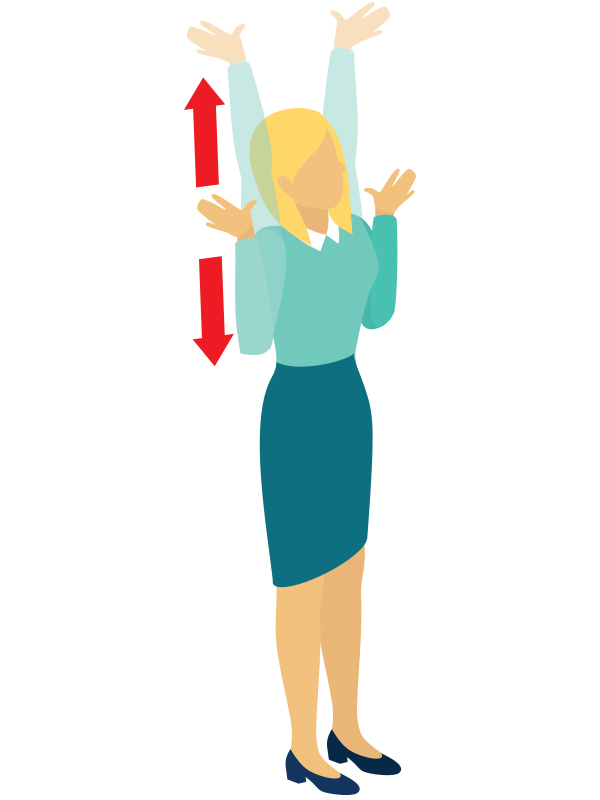 While marching in place, push toward the ceiling with your palms up and thumbs almost touching your shoulders. Make it harder by holding water bottles. Aim for 20 repetitions. 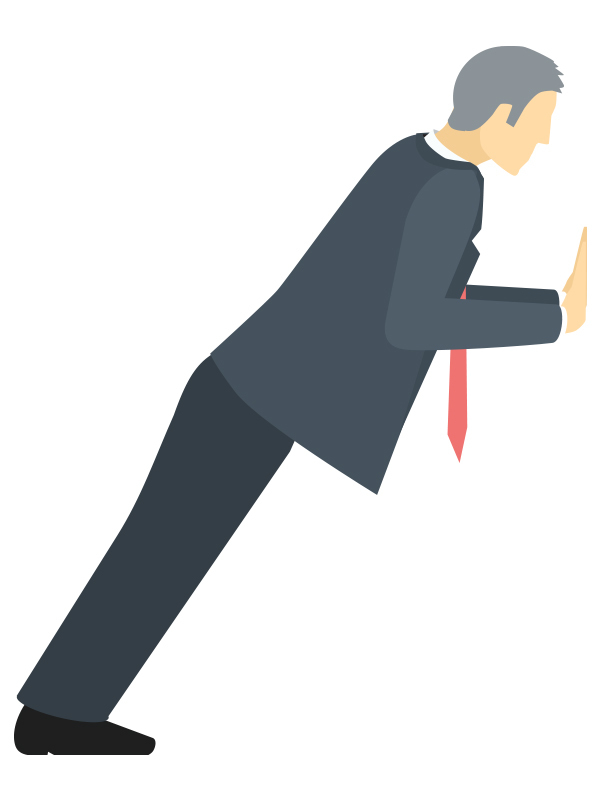 These push-ups can be done against stable walls (not your cubicle). Lean against the wall at a 45-degree angle. Try doing 2 sets of 10 to 15 repetitions. Research has shown that office workers who take a weekly yoga class (that’s right – only once a week) report less back pain, less stress and lower blood pressure, as well as greater serenity and concentration. Sit in your chair with your spine tall and straight. Take an inhale and on the exhale, twist to one side from the bottom of your spine (more from your abdomen, less from your back) grabbing your armrest. Breathe here for a few seconds, then do the other side. Scoot your chair out and stand a few feet from your desk so just your hands can touch. Drop your head between your arms to achieve a good shoulder stretch. This will counteract the hunching that inevitably happens when sitting at a desk and typing. These and other mind- and body-bending moves are only as effective as the breathing that accompanies them. Click here to learn the art of healthy breathing. Finally, keep it simple. Move as often as you can, huff and puff sometimes, and congratulate yourself on the effort. AdventHealth offers fitness and yoga classes, as well as free health and wellness seminars. See what’s coming up.